David came down to Miami for an inshore fishing charter. I have guided him in the past and always look forward to fishing with him. He is a very good angler and a cool person. 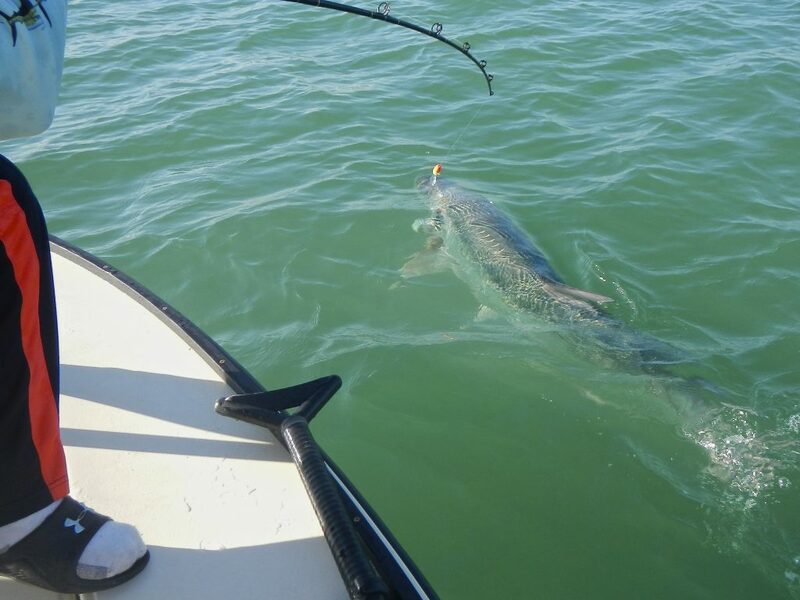 We started out first thing in the morning with some inshore tarpon fishing and hooked up right away. 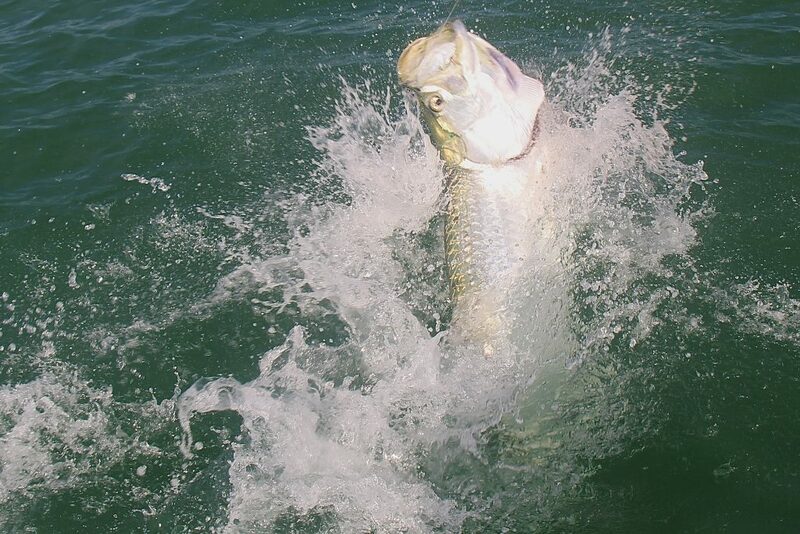 This was a large tarpon around one hundred and thirty pounds. It jumped a couple time just as soon as we hooked it, but it just wanted to stay down deep for the next thirty minutes. It gave us a couple head shakes close to the boat. I took the hook out of the tarpons mouth and released her unharmed. After awhile, we decided that maybe the tarpon are only going to bite in the morning for that day. 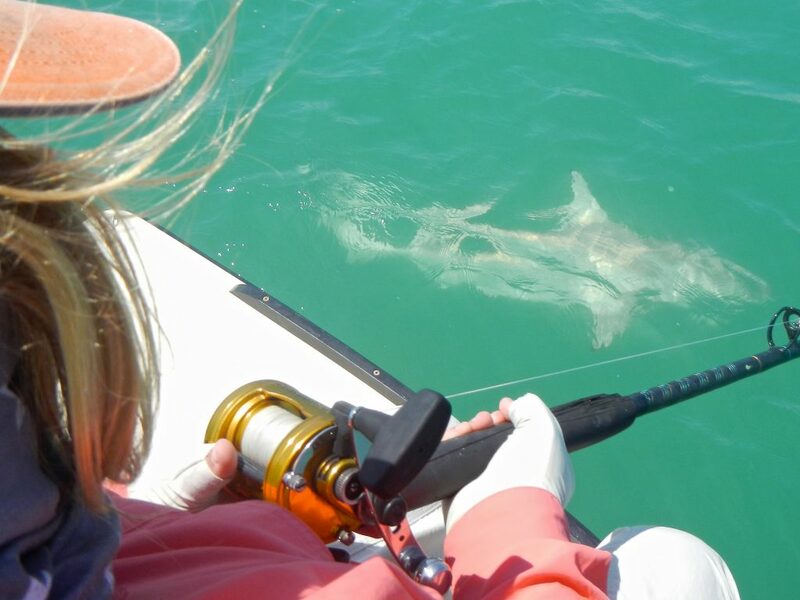 David loves to shark fish and Miami has some very good shark fishing. So we headed out to catch bait first, for some shark fishing. 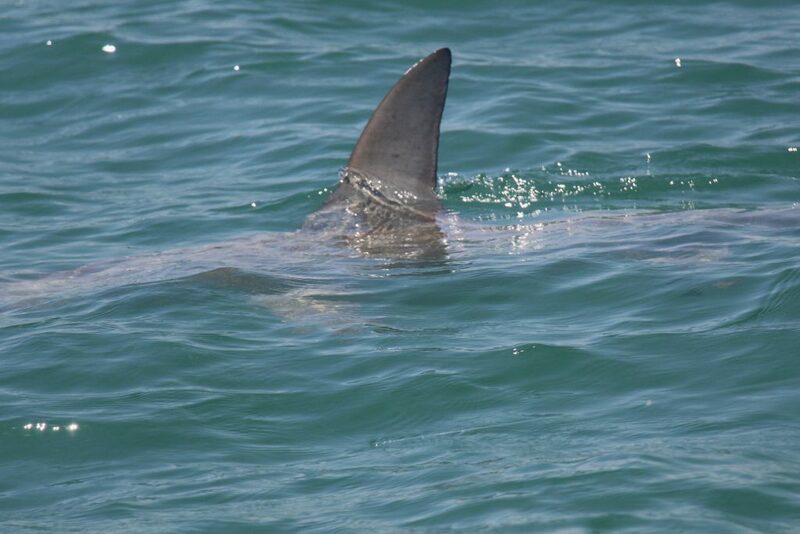 Right off the bat, a nice 7 maybe 8 foot hammerhead shark come straight at the bait and we are hooked up. After a very long first run and chasing the shark down, we got close, then the hammerhead shark broke the surface with it’s dorsal fin. I got lucky getting a picture of it. The shark started twisting around like crazy and some how bit through the leader and was gone. We got set back up again and caught a couple black tip sharks. 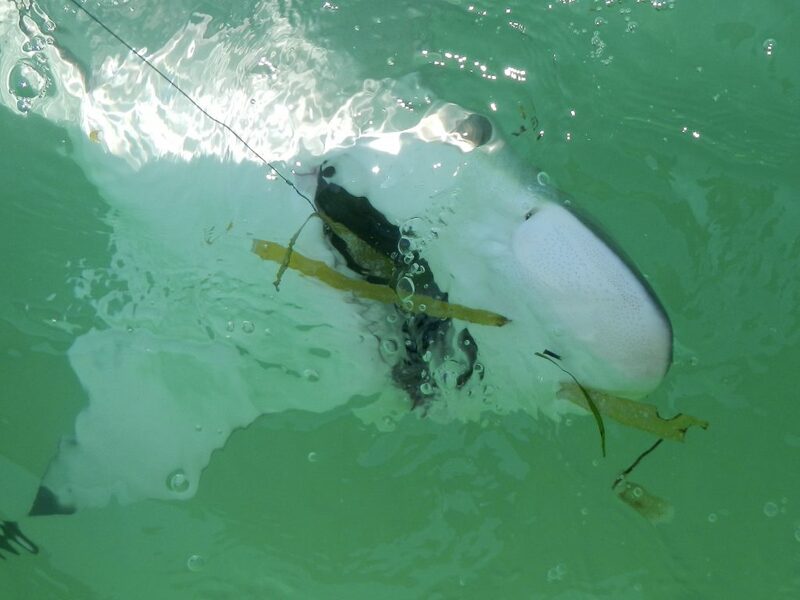 These black tip shark are a lot of fun to catch. You can see them coming up to the bait and eating it then most often they jump. Not many sharks jump but the black tip sharks do. They jump and spin just like spinner sharks, most of the sharks that I catch while fishing inshore Miami and the flats of Biscayne bay do.